It's Friday The 13th, What Are Your Unluckiest Car Stories? Look, we here at Jalopnik have plenty of first-hand knowledge about having dream-crushing bad luck when it comes to our automotive exploits. Since it’s Friday the 13th, we want to know your unluckiest car stories. 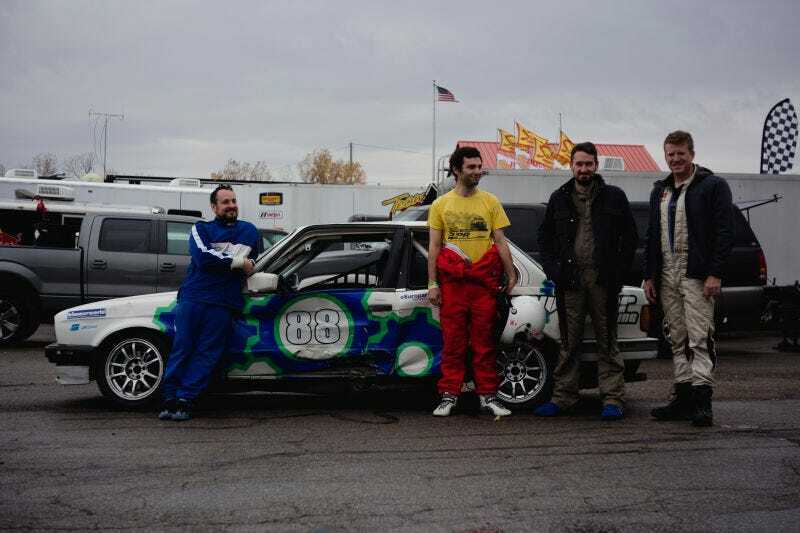 As a brief refresher and prompt, a few of us (not me) were lucky enough to be invited to race a BMW E30 against a few other enthusiast outlets, but our luck ran out when the car spun out of a corner on a wet track and was unavoidably impaled by an Acura Integra. There was just enough luck left in the tank to keep everybody okay, luckily, but not enough to keep us racing. Check out Raphael Orlove’s reflection on the race and accident, and let us know what the unluckiest thing to happen to you and your car was/is. And if you want some more from us, we have a whole video series on this kind of thing.